Please include a preview or two, list which game this is for RA2 or YR (even though most of us know what .yrm is for, it's still common courtesy). well? hows the map every1? I tested it and I like it. But the dreadnought didn't stoped firing at the uper left island, so they destroyed the Nuclear Missile Silo and some transport were coming damaged. I tested it and I like it. But the dreadnought didn't stoped firing at the uper left island, so they destroyed the Nuclear Missile Silo and some transport were caming damaged. Maybe don't tell the dreadnoughts to fire at the base, but instead a transport can bring 3 V3s in the top side of the island and they would destroy it. Or just send some tanks to just destroy the barrels. Wow thx for the idea.s btw did u try snow land campaign? I had this beat in 20 minutes. 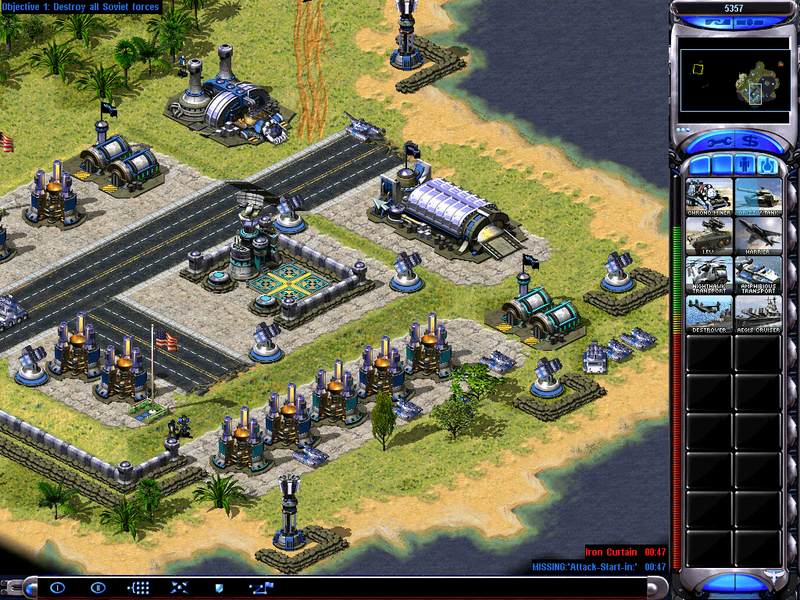 I took the navy and knocked out the base defenses. Then I made an engineer and took him and the conyard down by the 4 power plants and I went to town...... should have been called Hawaiian Islands not Hawaii Islands. Is there anybody able to post a preview of this map, please? By the way, I've edited the title and description, since the original title did not distinguish it from other single player campaigns at all, neither mentioned that it was created for YR. Your allied computer in the map is just lame too by the way, but thats YR blame. It's a nice and hard map, i don't think i have something too major to complain, nice map man. Also, i uploaded an preview and an screenshot, you should start adding that to your maps tobi, soo you can get more people interested in your maps. I'm not a fan of this type of multiplayer map since the game doesn't give you the tools to enforce the rules properly and triggers normally rely on the players picking the correct countries. Cooperative mode IIRC does the enforcing. In standard navalwar airwar and duel? Not unless its being used alongside a mod IIRC.